The opening long decade of the 21st century (2000-2012) has been a period of repeated and profound economic and social crises, of serial and prolonged wars and declining living standards for the vast majority of Americans. How have people responded to this crisis? No large scale, long term, socio-political movements have emerged to challenge the bi-partisan dominent classes. For a brief moment the “Occupy Wall Street” movement provided a platform to denounce the 1% super-rich but then faded into memory. Questions arose whether in the midst of prolonged hardship people would turn to religion for solace, escape into spiritual pietism. The question this essay addresses is whether religion has become the ‘opium of the people’ as Karl Marx suggested or whether religious beliefs and institutions are themselves in crisis, losing their spiritual attraction in the face of their inability to resolve the everyday material needs of a growing army of impoverished, low paid, unemployed and contingent workers and a downwardly mobile middle class. In other words are major religions growing and prospering in our time of permanent economic crise and perpetual wars or are they on the downslope part and parcel of the decline of the US Empire? According to the latest data as of 2008 the biggest religious group is Christianity with 173.402 million members representing 76% of adult population followed by Judaism with 2.680 million representing 1.2% of the adult population; followed by Eastern religions 1.961 million and representing .9% Muslims 1.349 million representing .6% of adults. The second most populous group after the Christians are those adults who state they have ‘no religion’ 34.169 million or 15%. The dynamic trends over time show a declining percentage of adults who are Christians: between 1990-2008 they dropped from 86.2% to 76%; Jews have declined from 1.8% of adult population in 1990 to 1.2% in 2008 and Eastern religion is growing from .4% of adult population to .97% of population. Likewise, the percentage of Muslims in the adult population has grown from .3% in 1990 to .6% in 2008. The percentage of non-religious adult population has increased from 8.2% in 1990 to 15% in 2008. While both practioners of Christianity and Judaism, as a percentage of the adult population, have declined, there is a sharp divergence in terms of numerical change; between 1990 and 2008 the number of Christians has increased by 2,218 million while the number of Jews has declined by 457 thousand. Judaism is the only one of the major and minor religions to decline in absolute numbers. The combined number of Eastern and Muslim religious affiliates now exceeds Judaism by 630,000 believers about 30%. Jews today represent only 1.2% of the adult US population compared to 1.5% for Muslims, Buddhists and Hindus. The gap between Christians and non-religious US adults has narrowed over the past 20 years: from 86.2% to 8.2% in 1990 to 76% to 15% in 2008. Among Christians the biggest decline is among ‘mainline protestant churches’ (Methodists, Lutheran, Presbyterian, Episcopalian/ Anglican and United Church of Christ) from 32.8 million in 1998 to 29.4 million in 2008; and among “unspecified Protestants” from 17 million to 5.2 million. The biggest increases are among “non-denominational Christians” rising from 194,000 to 8.03 million believers in 1990-2008, unspecified Christians from 8.1 million to16.4 million and Pentecostals up from 5.7 million in 1990 to 7.9 million in 2008. Catholic and Baptists grew in numbers but barely held their own as a percentage of the adult population. Contrary to most observers and pundits, the economic crisis has not led to an upsurge in religious memberships or identification – the search for ‘spiritual consolation’ in a time of economic despair. The mainline churches and synagogues do not attract or even keep membership because they have little to offer in material solutions to their members in time of need (mortgage foreclosure, bankruptcies, unemployment, losses of savings, pensions or stocks). Contrary to some pundits even the more otherworldly, apocalyptic, Pentecostal, Charismatic, Born Again Churches while increasing their number have failed to attract a larger percentage of the adult population over the past 20 years; in 1990 they had 3.5% of adults and in 2008 4.4% an increase of .9%. The crises decade has had several major impacts – it severely weakened religious identity with any specific denomination, it increased religious uncertainty and vastly increased the number and percentage of adult Americans who are no longer religious. Between 1998 and 2008, the percentage of adults in both categories doubled from 10.5% to 20.2%; the numbers increased from 18.34 million to 46 million. It would appear that most of the ‘non-religious’ are drawn from former mainline Christians and Jews. The rise of non-religious adults between 1990-2008 cannot be related to greater education, urbanization and exposure to rationalist thought which has more or less remained the same over the two decades. What has changed is the rising discontent over declining income among wage and salaried workers, the vast increases in inequality, the perpetual wars and the public discredit of the principle political and economic institutions – Congress is viewed as negatively by 78% of Americans, as are banks, especially Wall Street. The religious institutions and religious faith is increasingly seen as irrelevant at best and complicit in the decay of American living standards and workplace standards. Despite the dramatic increase in ‘non-religious’ Americans close to 75% still claim to be believers of one or another version of Christianity. The crisis in Judaism is far more severe than even the ‘mainline Christian’ churches. Over the past 20 years the number of adult Jews has declined by about 15%, over 450,000 former Jews ceased to identify as such. Some of the political economic causes for the flight from Judaism may be similar to the Christians. Others may be more specific to Jews: over 50% of Jews marry outside of the synagogue with non-Jews, cause and consequence of ‘defection’. Others may convert to other religions – Oriental or Christian. Some Jewish neo-conservative rabbis and ideologies rant about the threat of ‘assimilation’ being the equivalent of ‘genocide’. Most likely most former Jews have become ‘non-religious’ or secular and some of the reasons may vary. For some, Old Testament bloody tales and Talmudic rulings do not resonate with modern rational thought. Political considerations may also contribute to the sharp decline in self-identifying Jews: the ever tighter links and identity of Israel with Jewish religious institutions, the Israeli flag waiving and unconditional support of Israeli war crimes has repelled many former parishioners, who quietly retire rather than engage in a personally costly spiritual struggle against the formidable pro-Israel apparatus embedded in the inter-locking religious-Zionist networks. The religious crises, the decline in belief and institutional affiliation, is intimately related to the moral decay in US public institutions and the precipitous decline of living standards. Among Christians the decline is incremental but steady;among Jews it is deeper and more rapid. No ‘alternative religious’ revival is in the horizon. The more fundamentalist Christian groups have responded by becoming more politically involved in extremist movements like the Tea Party demonizing public spending to ameliorate social inequities or have joined Islamophobic pro Israeli movements – precisely as increasing number of ex-Jews depart! The secular or non-religious adult population has yet to organize and articulate a program in contrast to the fundamentalists, perhaps because they are too disparate a social category – in terms of socio-economic and class interests. ‘Not religious’ tells us little about what is the alternative. The shrinking percentage of religious believers can have several outcomes: in some cases it can lead to a hardening of doctrine and organizational structures ‘to keep the faithful in line’. In others it has led to increasing politicization, mostly on the extreme right. Among Christians it means insisting on literal readings of the Bible and anti- evolutionism; among Jews, the shrinking numbers are intensifying tribal loyalties and more aggressive fundraising, lobbying, and unconditional support for a “Jewish State”, purged of Palestinians, and more punitive witch-hunts against critics of Israel and Zionism. What needs to be done is a movement that links the growing mass of rational non-religious people with the vast majority of American wage and salaried workers, experiencing declining living standards and the rising costs (material and spiritual) of imperial wars. Some religious individuals and even denominations will be attracted to such a movement others will attack it for sectarian and political reasons. But as a non-religious morality links individual and political crises to social action, so can the political community create the bases for a new society built on secular needs and public ethics. Not by Might nor by Power is a work that provides a significant contribution to the process of developing Pentecostal theology and more specifically its social concern. This book deals extensively with the Latin America Child Care. 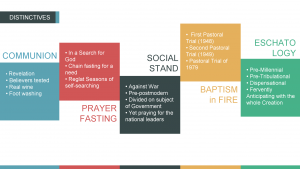 Its structure is organized around issues concerning South American Pentecostals. This review will first offer a chapter-by-chapter overview of the book, second discuss several of the significant issues of the book, and third will show the book in the current context of ministry. The book begins by establishing the foundation of Pentecostal faith and experience. The author uses the historical background of Pentecostalism connecting it with the story of the Latin American Pentecostal movement thus establishing the global transformative role of the movement. Chapter two claims that through global transformation, Pentecostalism becomes a social relevant movement. The author examines this role of the movement within the current Latin American political and social context. A very important point is made about the parallel appearance of the Pentecostalism in different parts of the world, thus making the movement autonomous in each country where it was present. This development was possible only because Pentecostalism in its original North American context emerged among the poor and oppressed denying the authority of the rich and powerful and moving toward social liberation. Chapters three and four deals with the compatibility of Latin American culture and Pentecostalism and is based on the topics discussed above. This way, chapter three is a paradigm merge between the topics dealt within chapters one and two. The Pentecostal characteristics are predominating in the discussion. Chapter four continues with the Pentecostal relevance to social processes and dynamics in Latin America. In this way of thought, the economical environment of Latin America is the factor that enables Pentecostals to participate in the social transformation. Chapter five brings a case study dealing with the Latin America Child Care. The LACC presents a paradigm for further society involvement, which is presented as the central proving point of the research. There is a challenge for a better presentation of theology and praxis in chapters six and seven. 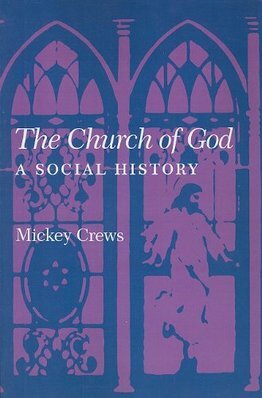 The book claims the ability of Pentecostals to offer social action alternatives and calls for various forms of social expression which are developed based on coherent doctrinal statements. These include politics, eschatology, triumphalism and other important issues. In relation to the premillennial views of Pentecostalism, Petersen calls external critics to carefully reconsider the claim that Pentecostalism is purely dispensational. The book explains that in its very nature Pentecostalism and its view of the work of the Holy Spirit denies any limitations to the last, and at the same time proclaims the rapture of the church and the imminent return of the Lord. Thus Pentecostalism presents a unique already-not-yet eschatology which has served as a developmental factor of its social concern. Concerning the relationship between Pentecostal eschatology and political involvement, Petersen critiques the purposeful abstinence of political involvement and viewing of politics as a rather worldly practice. The book urges Pentecostals to view politics as a tool for social involvement and transformation even in regard of the soon return of the Lord. In fact, the research seems to propose that political involvement is part of the eschatological expectation of the church. While Latin America is quite separated from our present context of ministry in Bulgaria, Not by Might nor by Power presents many similarities between both, especially in the problematic issues of Pentecostal theology and praxis. Similarly to the problems in Latin America, in the beginning of the 21st century the Protestant Church in Bulgaria is entering a new constitutional era in the history of the country. Since the fall of the Berlin Wall, the political and economic challenges in Eastern Europe have strongly affected the Evangelical Churches. More than ever before, they are in need of reformation in doctrines and praxes in order to adjust to a style of worship liberated from the dictatorship of the communist regime. In order to guarantee the religious freedom for our young, democratic society, the Protestant Movement in Bulgaria needs a more dynamic representation. Such can be provided only by people who will create a balance between the old atheistic structures and the new contemporary, nontraditional style of ministry. Almost one hundred years ago, Pentecostalism began as a rejection of the social structure which widely included sin, corruption and lack of holiness. These factors had spread not only in the society, but had established their strongholds in the church as well. Pentecostalism strongly opposed sin as a ruling factor in both the church and the community, seeing its roots in the approaching modernity. As an antagonist to modernism, for almost a century Pentecostalism stood strongly in its roots of holiness and godliness, claiming that they are the foundation of any true Biblical church and community. Indeed, the model of rebelling against sin and unrighteousness was a paradigm set for the church by Jesus Christ Himself. In the beginning of the 21st century, much is said about the church becoming a postmodern system serving the needs of postmodern people in an almost super-market manner. Yet, again, it seems reasonable to suggest that the Pentecostal paradigm from the beginning of modernity will work once again in postmodernity. While again moral values are rejected by the present social system, Pentecostalism must take a stand for its ground of holiness and become again a rebel – this time an antagonist to postmodern marginality and nominal Christianity or even becoming a Postmodern Rebel.